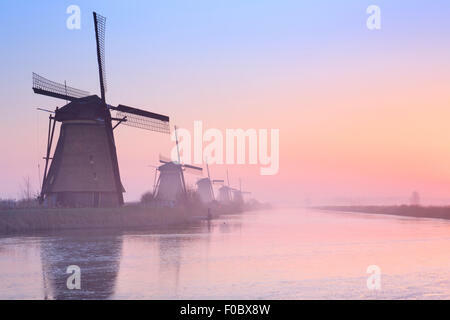 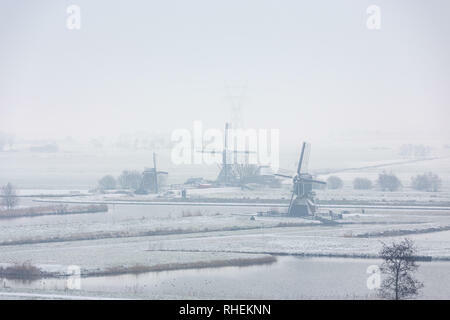 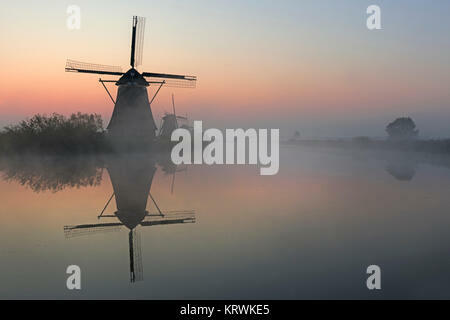 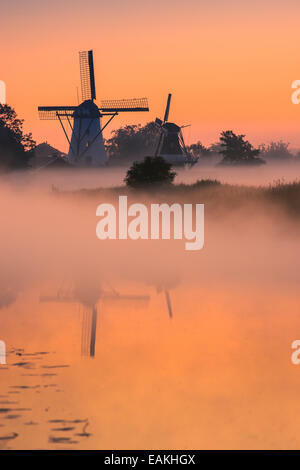 Traditional Dutch windmills on a cold morning at sunrise in winter, at the Kinderdijk in The Netherlands. 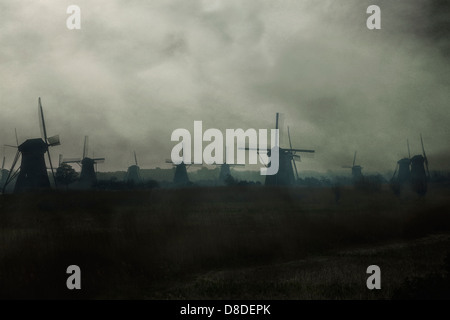 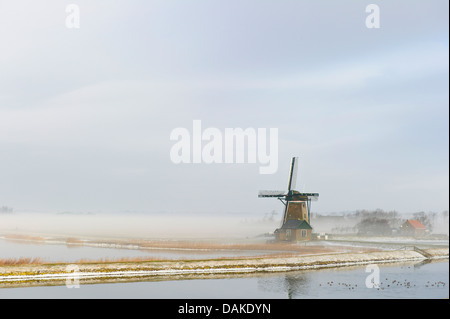 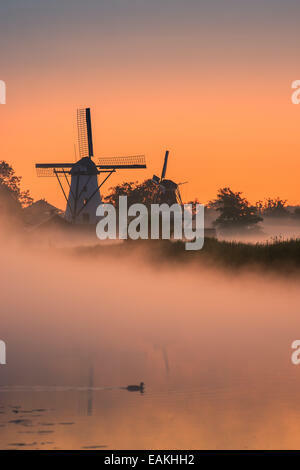 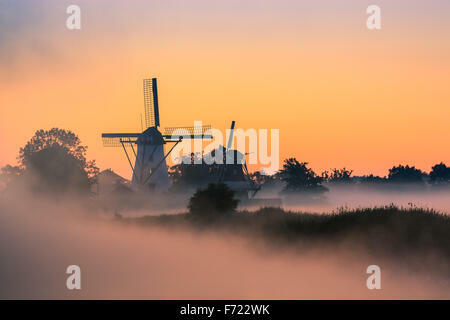 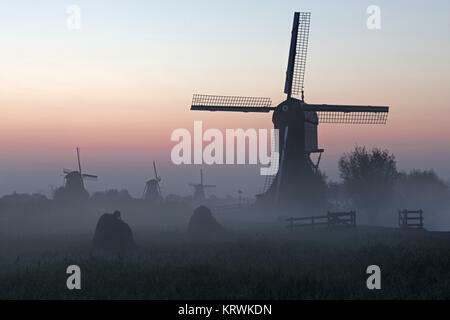 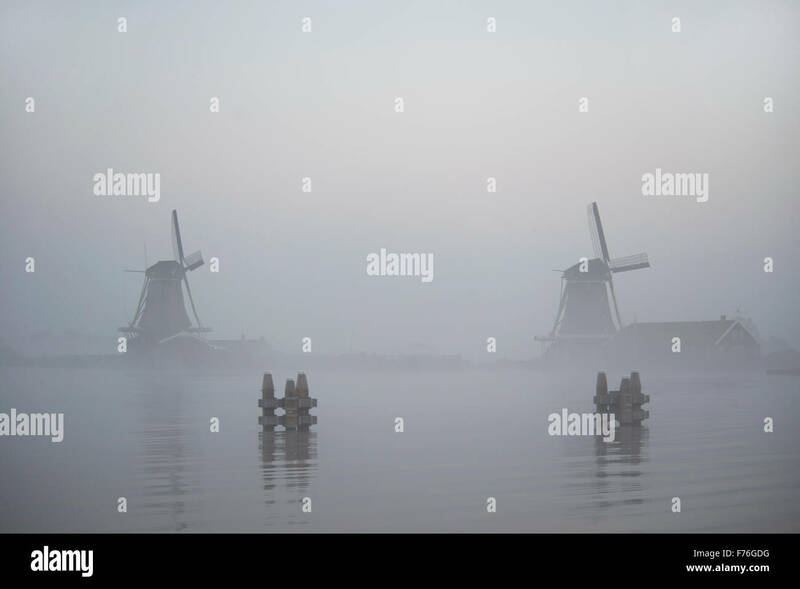 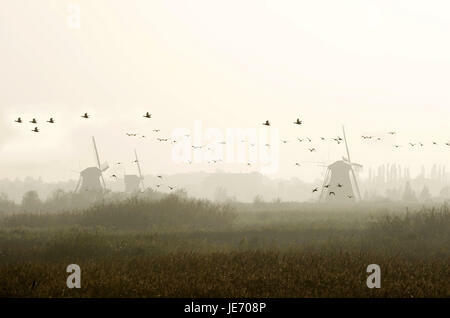 Historic old windmills in a foggy morning in the Doespolder in the village of Leiderdorp in the Netherlands. 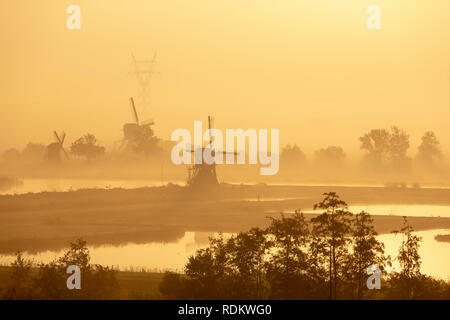 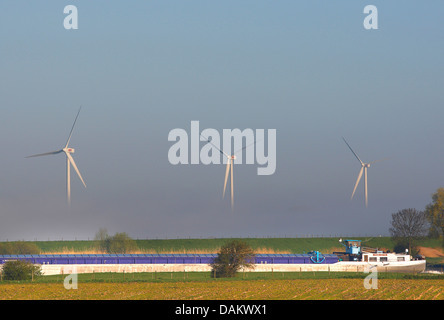 The Achthovense windmill, Doeshof windmill and the Munnikken windmill on the river the Does in the Doespolder in Leiderdorp in the Netherlands.